As anyone who has read even a few posts here knows, I started AWL to find readers for my novels, specifically for Cyan which had just been accepted by EDGE. I had no idea how many interesting people I would meet along the way. Some of them were fellow writers of science fiction, fantasy, and steampunk, some were fellow bloggers who wanted to be writers (this post is for you, as you’ll see at the end), and some of the ones I met indirectly had been dead for many years. Of course, I had been discoursing with dead people all my life. Imaginary people, as well, starting with Victor Appleton II, “author” of books I was reading before I got my first library card. If you don’t recognize “him”, “he” was a house pseudonym belonging to the Stratemeyer group. “He” wrote the Tom Swift, Junior books which were my idea of science fiction when I was ten. Come to think of it, many of the people in the Bible that my parents introduced me to were imaginary as well as dead, but a wise man doesn’t talk about to that in public. 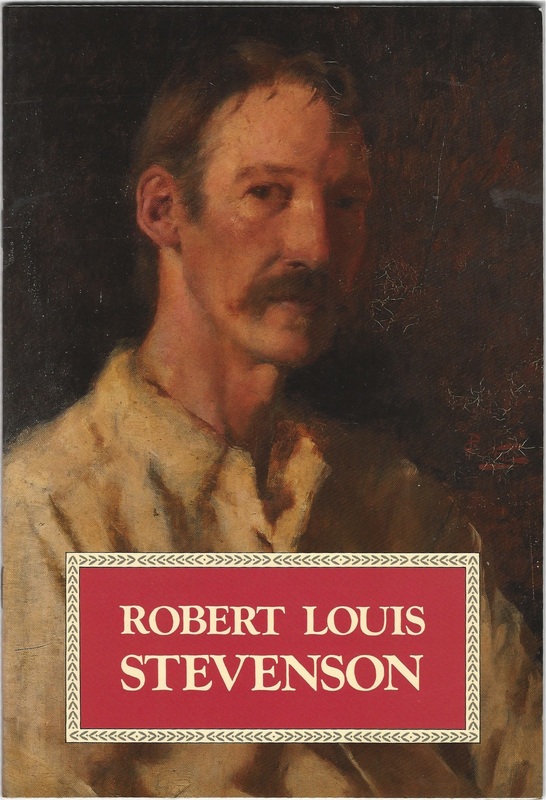 One of my favorite friends-I-never-met is Robert Louis Stevenson. He has been a part of my life for decades, and I recently had cause to dig deeper into his personal story while putting together an upcoming series of posts. To say truth, I had no sooner finished reading this little book in proof, than I was seized upon by a distressing apprehension. It occurred to me that I might not only be the first to read these pages, but the last as well; that I might have pioneered this very smiling tract of country all in vain, and find not a soul to follow in my steps. The more I thought, the more I disliked the notion; until the distaste grew into a sort of panic terror, and I rushed into this Preface, which is no more than an advertisement for readers. A preface is only an advertisement for readers? Imagine that! If Stevenson had been writing 140 years later, he would have had a blog, and wouldn’t I love to read that. Also, consider the notion that one of the world’s most successful writers started out thinking that no one would ever read what he was writing. Of course, there were thousands of other writers in 1878 who thought no one would ever read their writing, and no one ever did. We never knows in advance what will happen. We just have to keep putting one foot in front of the other, and hope. This entry was posted in A Writing Life and tagged blogging, literature, memoir, science fiction, writing on June 27, 2018 by sydlogsdon.